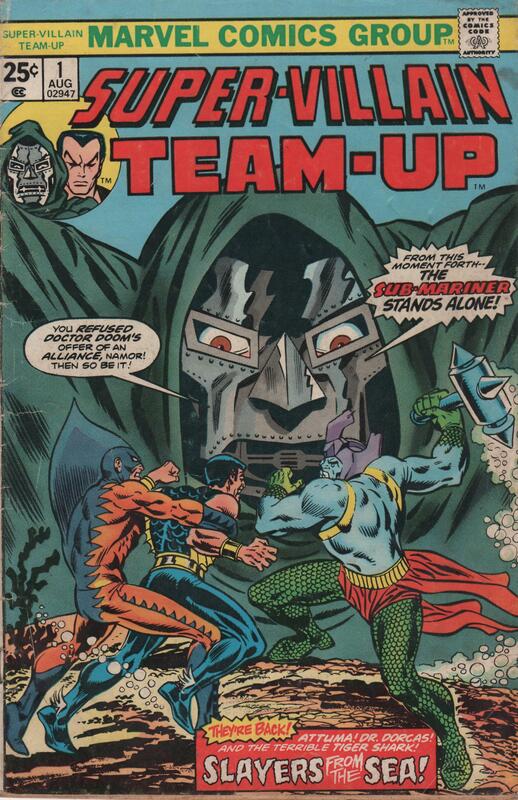 Super-Villain Team-Up | Magazines and Monsters! 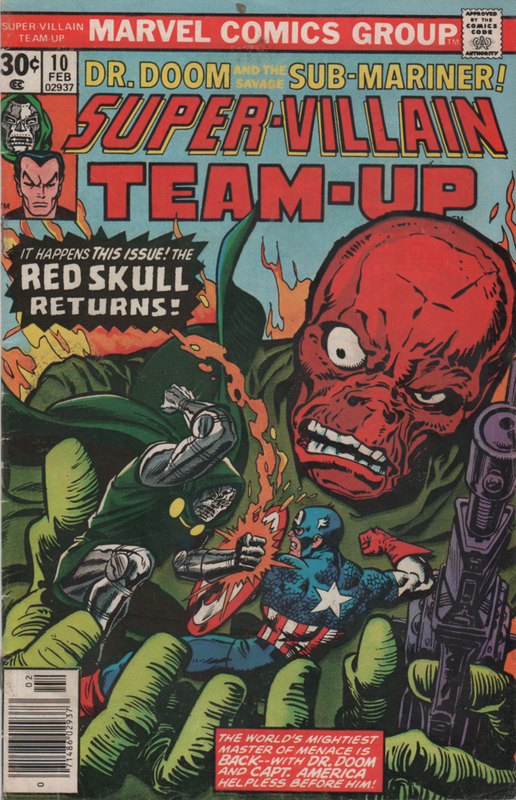 After just purchasing this book recently (Baltimore Comic Con 2014), I felt compelled to spotlight this great book! 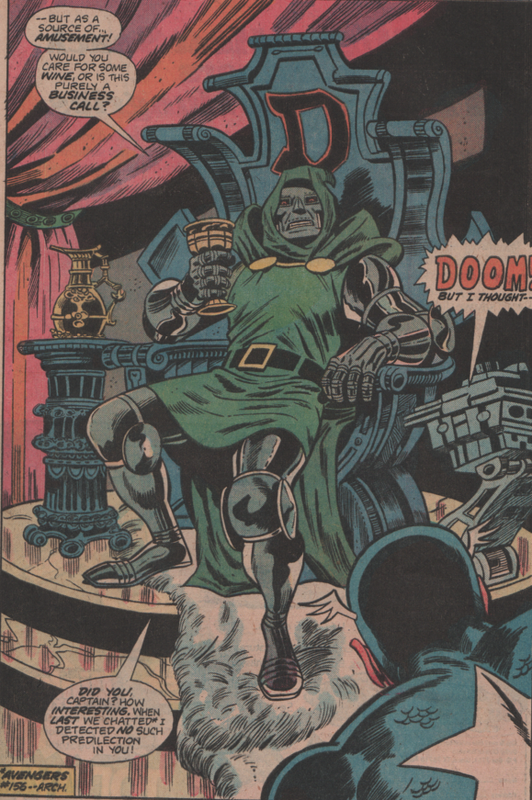 These types of books have always caught my eye, and will always get my money, as well. 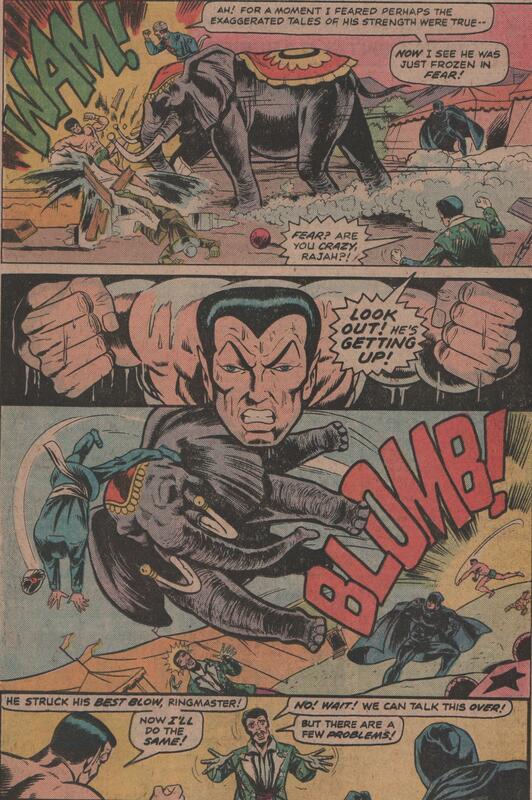 When you have great characters like Namor and Dr. Doom in a book, it’s difficult to not have a good story, or at least enough crazy action and declarative statements on every other panel! 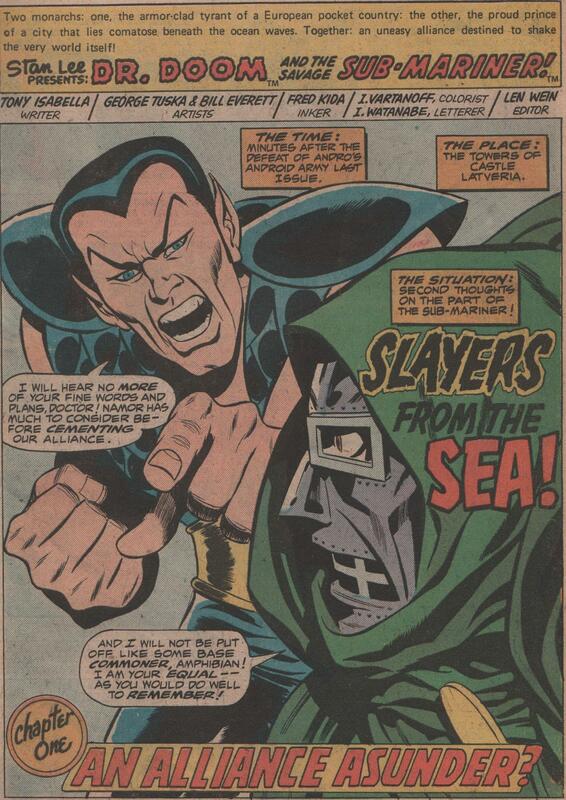 Let’s face it, Doom and Namor have enough hot air between the two of them to float a balloon across the planet. 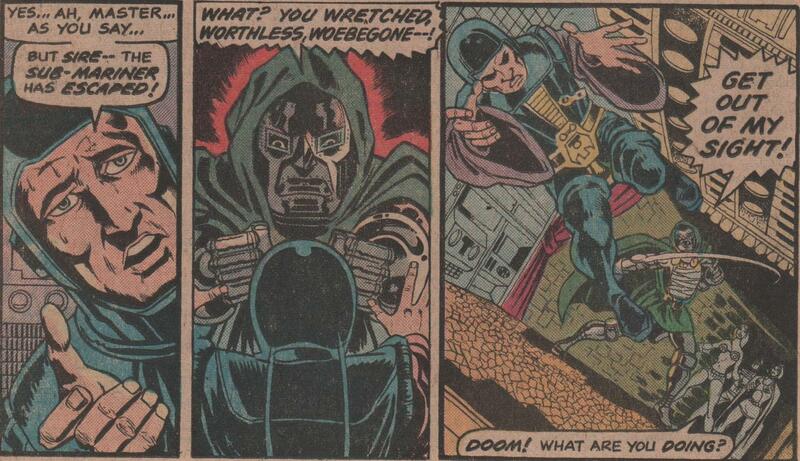 But, that’s why we love them, isn’t it? 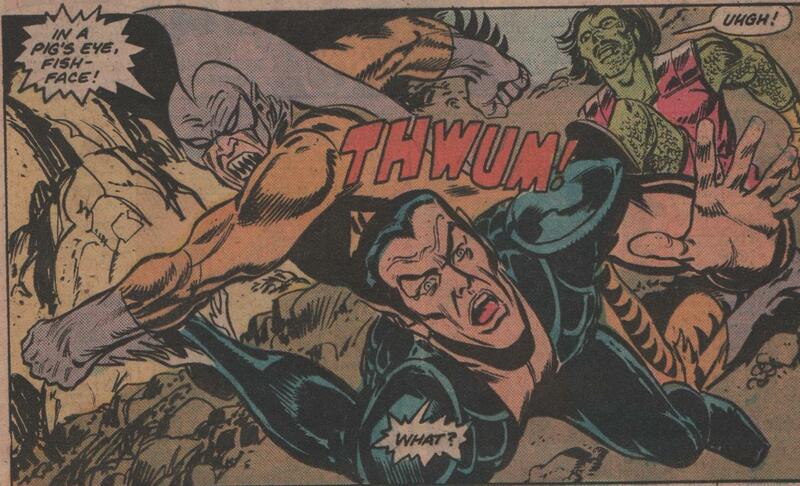 As if dealing with Doom isn’t bad enough, Namor must contend with his perennial foes Attuma and Tiger Shark as well! 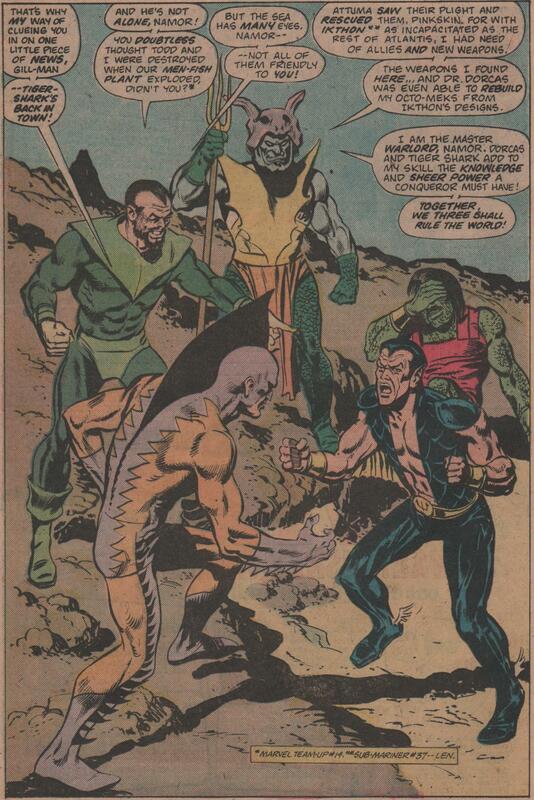 There’s also a third person to contend with too, as Dr. Dorcas is in the mix…wow, what a name for a villain. 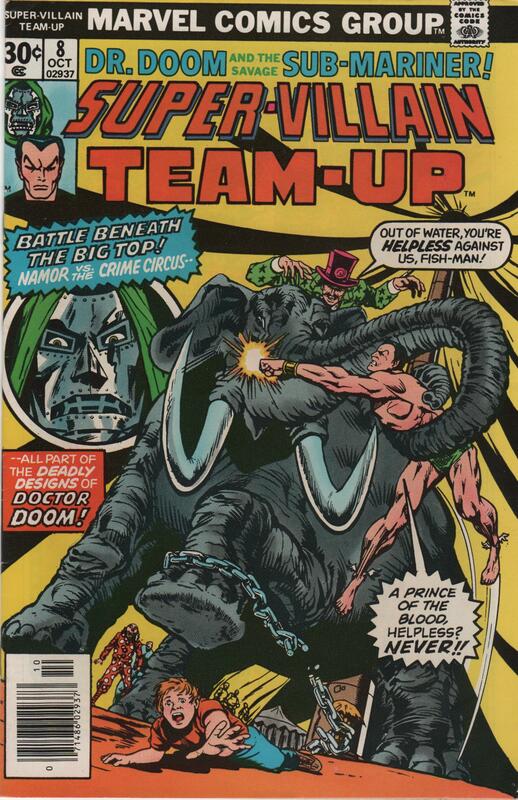 The story is broken into two “chapters”, with a different set of artists on the second half, but you can’t go wrong with either team to be honest. 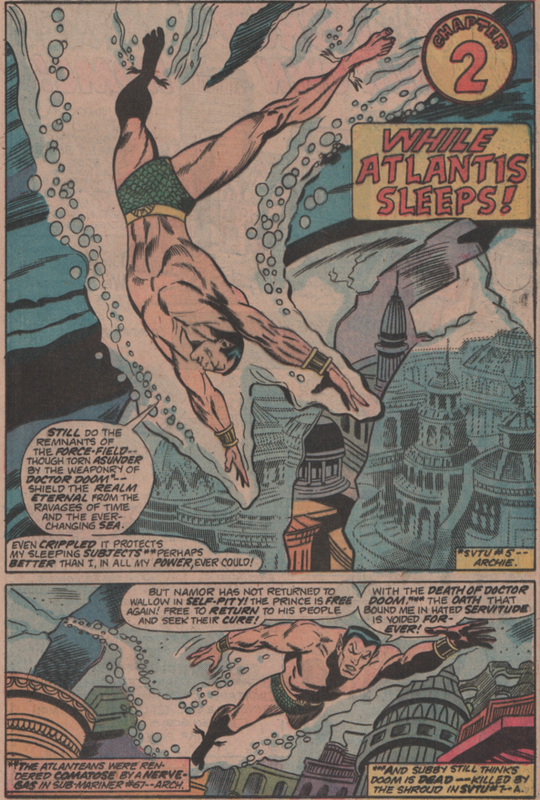 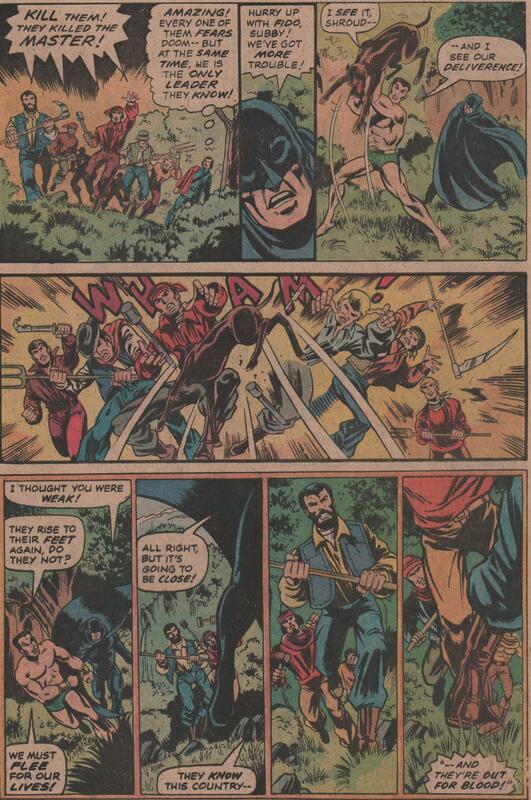 Written by Tony Isabella, pencils (chapter one) by George Tuska & Bill Everett, inks by Fed Kida, colors by I. Vartanoff, and letters by I. Watanabe. 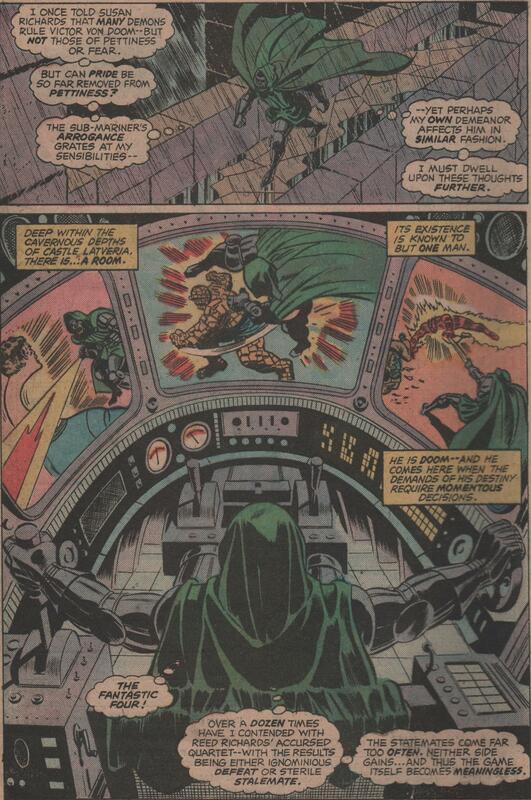 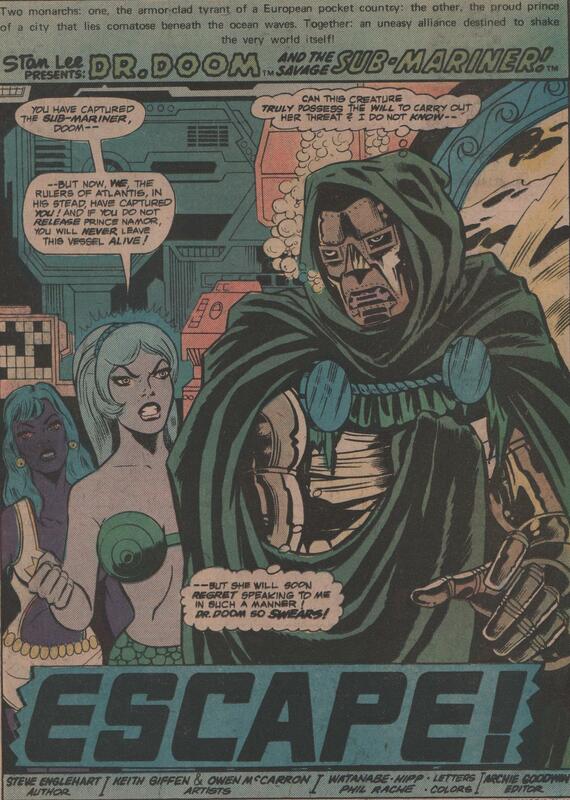 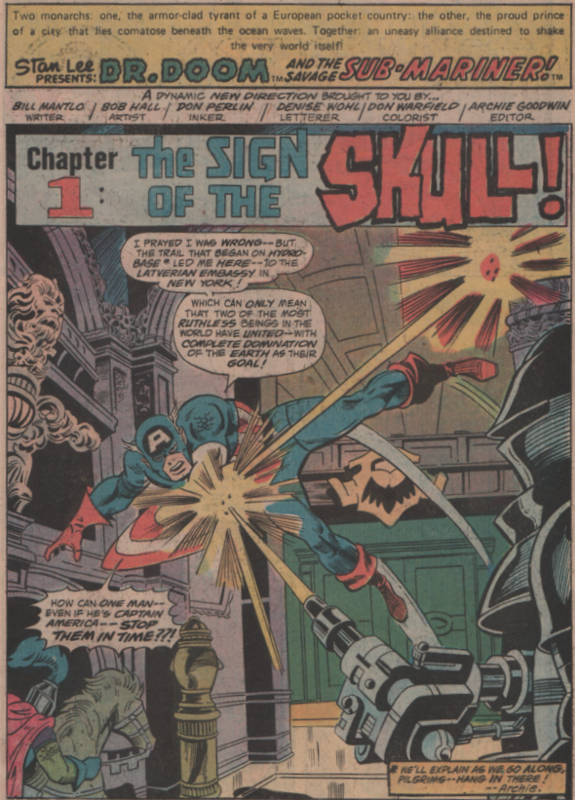 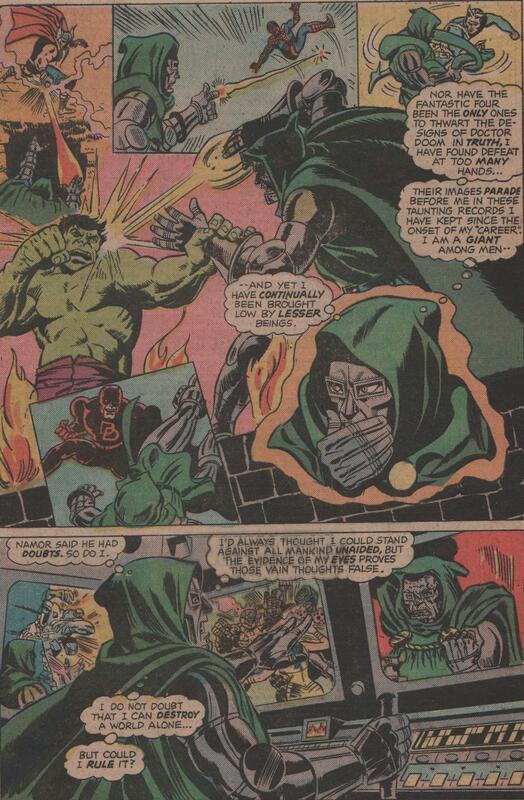 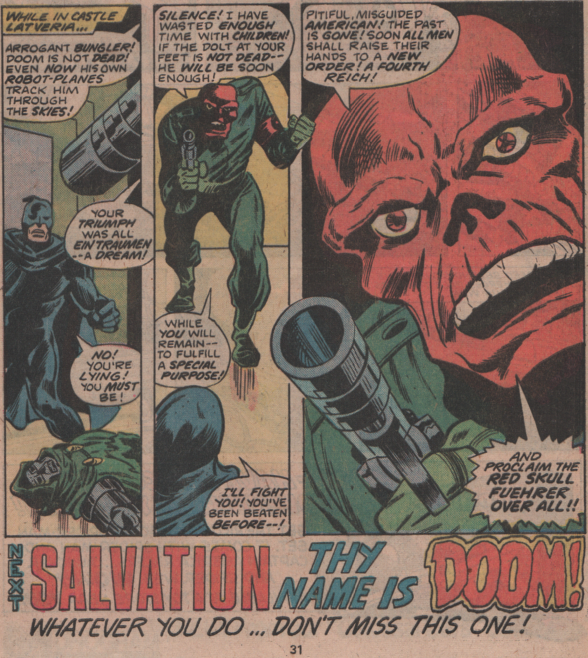 The second chapter was penciled by George Evans, and inked by Frank Springer, and the rest of the same crew from the first chapter to round out the rest of the team! 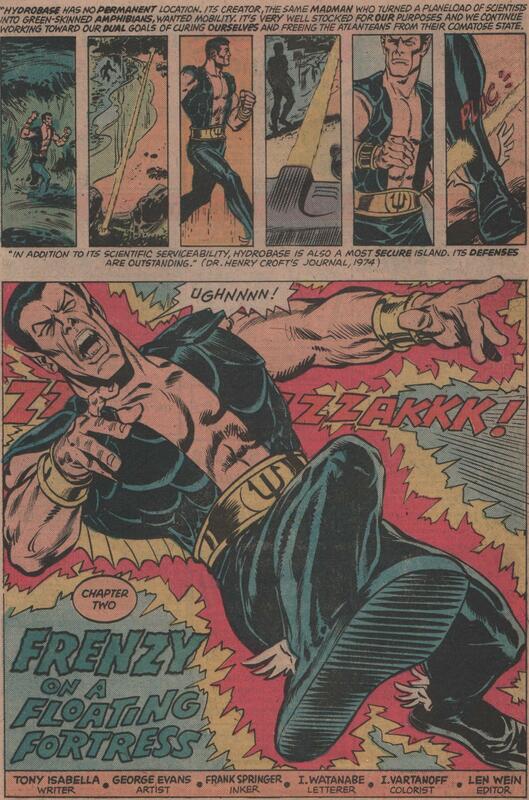 There are some fantastic splash pages in this book, so get ready to be aroused!